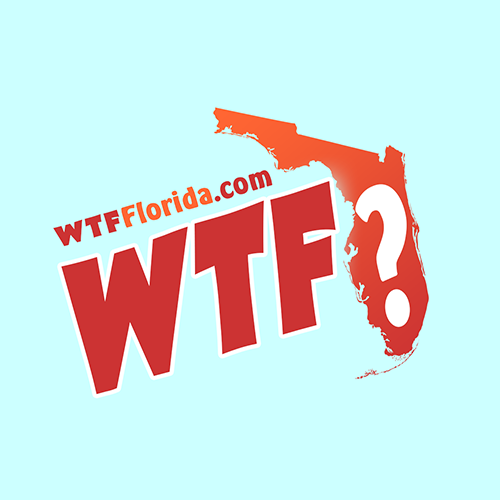 Florida Man Hits Sleeping Roommate on Head with a Skillet for Being a "Confidential Informant"
Paisley (WTFF) – A Florida man was arrested after allegedly attacking his roommate with pots, pans, Corningware and more at their home on W 2nd St, a dirt road. An officer met with the victim at another home. He was wearing a “bloody white T-shirt,” reads the report, and “had several bloody spots on his upper left arm.” He told the officer about his roommate and what transpired yesterday, Tuesday night around 4:00 in the morning. 58-year-old Joseph Krenn came home, where the two live. Krenn started accusing him “of being a confidential informant,” the roommate said in the affidavit. 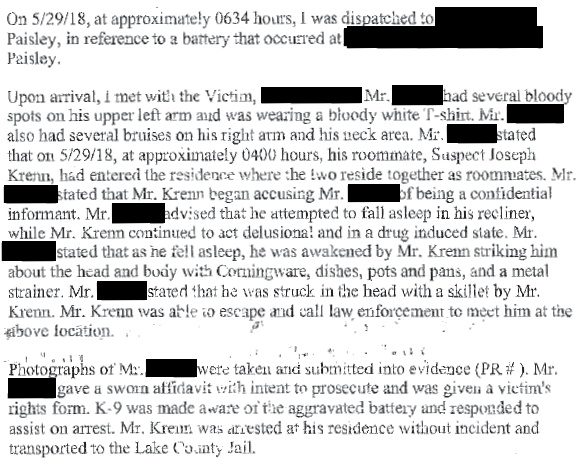 Trying to ignore the probably-paranoid Krenn, he “attempted to fall asleep in his recliner,” hoping that his “delusional” roommate, as he described him, would just go away perhaps. Krenn seemed to be in “a drug induced state.” No drugs were found or reported by the sheriff’s office. 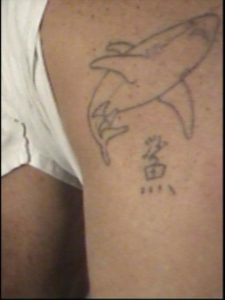 It’s possible he’s schizophrenic, on drugs, or just Florida Man. Often the answer is all three. The victim finally fell asleep. He also told the officers that “he was struck in the head with a skillet.” Leaping to safety, he called 911. 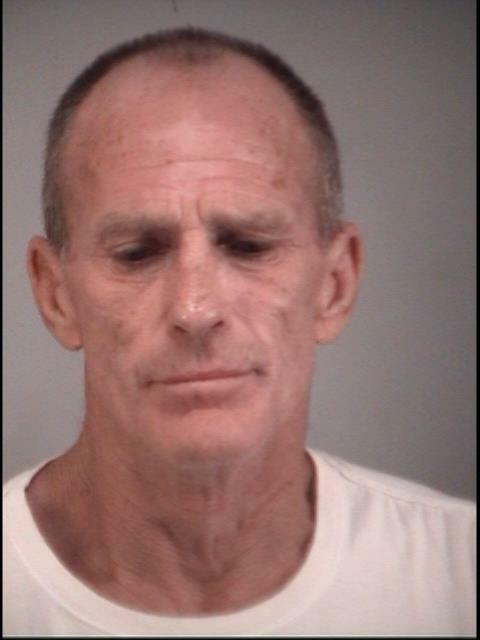 Krenn was arrested at his home and charged with a count of Aggravated Battery with a Deadly Weapon. He remains in the Lake County Jail with a $10,000 bond. I AM IN FLORIDA, I DON’T ACT LIKE THAT ever so just being a white male floridian is enough to be discriminated against is what it sounds like to me and to be truthful I think that the GMO biosolid food prepared in that skillet is probably way more deadly than the skillet itself oh and I don’t like tattoo’s either.